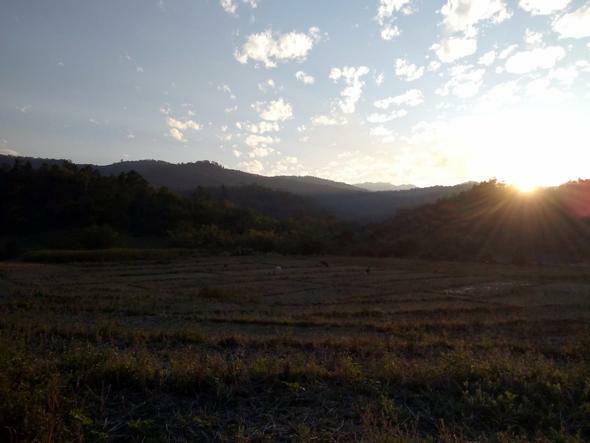 Help Ben Murray establish a permaculture demonstration Centre focused on ultra-productivity and self-reliance in the Chiang Mai region of Northern Thailand. We will be establishing an intensively managed permaculture market garden and learning Centre with the intention of presenting a model site for small scale organic vegetable production, sustainable land management practices and self-reliance in the beautiful, but threatened, mountains of Northern Thailand. By contributing financially you will help to secure the land and get this wonderful project rocking and rolling! By promoting and sharing this with your networks you will help to generate further interest in this campaign and in the project. If you happen to be in Northern Thailand your energy and enthusiasm will be greatly appreciated to help build the physical infrastructure for the site! 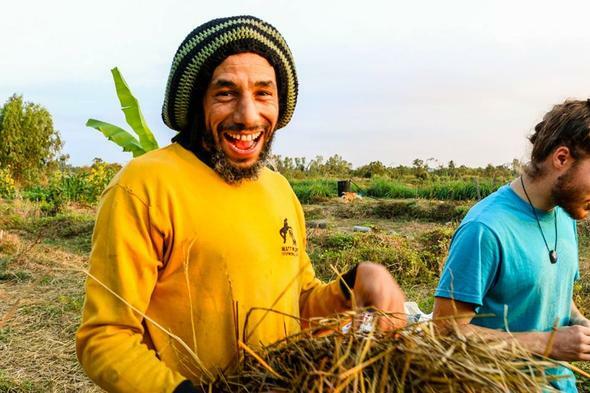 Ben is an Ecological designer, consultant and teacher with a background in horticulture, permaculture, organic agriculture and natural building. Ben is the founder of Holistic Regeneration ecological design consultancy and has more than 20 years’ experience in the realm of horticulture. He’s spent most of the last 10 years living in intentional communities, helping to pioneer new projects, consulting, designing, practicing and teaching permaculture, organic gardening and natural building in England, Malaysia, Thailand, China, Kenya and India and is currently working hard to get this project on its feet! (Some of you may remember me from the incredibly serious How to make Biofertilizer video my friend Theron posted a few years ago on youtube). The mountains of northern Thailand offer an array of beautiful and diverse forest ecosystems. These forests provide habitat for innumerable plant and animal species as well as providing countless environmental services for the benefits of us humans. 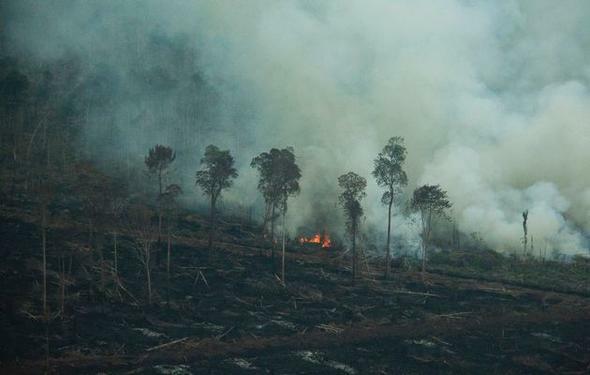 Unfortunately these mountains and forests are threatened by forest fires each year. 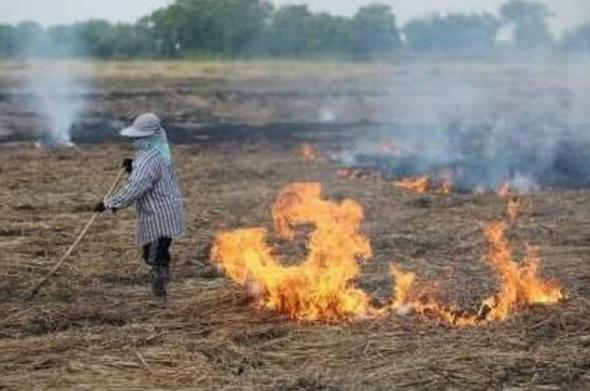 The result of these fires is that every year thousands of people around the North of Thailand suffer from extreme respiratory illnesses as a result of air pollution, huge numbers of animal and plant species are annihilated and forest soils are degraded leading to severe flooding, erosion and extreme water shortages in the dry season. The problems occur for different reasons; shifting, slash and burn cultivation is still practiced by some villagers and hill tribe communities, mountains are also burned to help facilitate the harvest of valuable wild mushrooms and agricultural residues are sometimes burned in the fields when farmers feel they don’t have the time or labour available to collect the residues and recycle or sell them. The approach will be to establish a learning Centre and ultra-productive market garden based on a combination of permaculture, bio-intensive mini farming and Biodynamic agricultural techniques to showcase a system which can provide food self-sufficiency for a family, lucrative financial opportunities through sales of farm produce whilst also improving farm fertility and diversity. 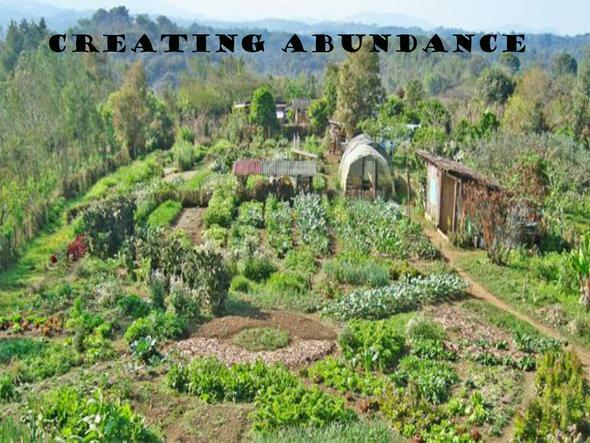 The idea is to lead by example, by creating a visual manifestation of the power of permaculture production in its ultimate state of thriving abundance! Experience has shown that by creating highly functional examples it’s much easier to inspire people as they can see the results and benefits of specific techniques and practices directly. There is already a small community of local farmers that have formed an Organic group in Ban Om Long. With the help of the demonstration Centre and the collaborations between this local group we will hope to engage and strengthen connections with the wider village and hill-tribe communities in the area. By developing clear examples and training programs for locals we will be able to present realistic alternatives for many people. Showing how we can use community scale integrated pest management systems to alleviate the need for the chemical pesticides, fungicides and herbicides that destroy the environment and jeopardize peoples’ health, whilst also helping to restore ecological balance and gain a deeper love for and connection with nature. We can utilize combined permaculture and bio-intensive techniques to ensure that we can provide adequate fertility for sustainably intensive production through careful planning, soil building techniques and composting, to ensure that there’s no further need for chemical fertilisers, which destroy soils, pollute waterways and cost more and more money for the farmers. By combining forces with more regional groups, as well as our friends in The Organic industry in Chiang Mai town and organic certifying bodies, we can explore opportunities for establishing cooperatives and CSA’s to provide lucrative financial incentives to further benefit these aims. There is great interest in ecotourism in Northern Thailand, however this is greatly hampered by the seasonal burning during the dry season. This also presents a chance for farmers and hill tribes to integrate bungalows and guestrooms into their farmsteads to provide extra income. It is then in the best interest of these people to maintain and enhance the ecosystems within their areas as this will directly influence the amount of visitors coming! 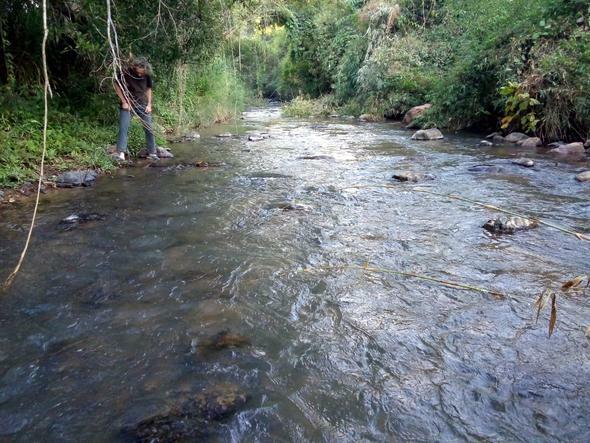 In this way we hope it can be possible to not only improve the lives and livelihoods of many farmers and hill-tribes, but also greatly reduce environmental pollution which effects many thousands more and also change attitudes towards destructive land management practices, foster deeper connections with the natural environment and rejuvenate and replenish living capital. 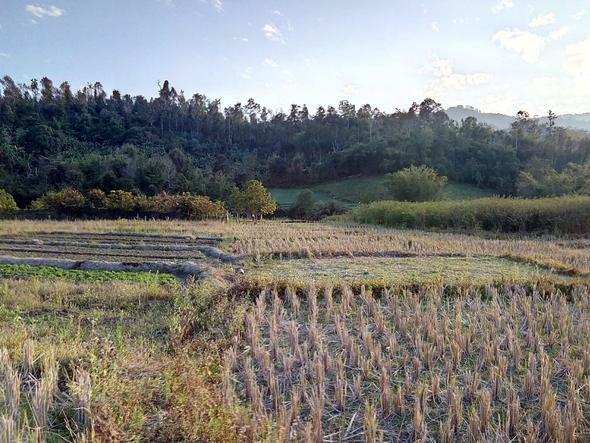 The land is located near Om Long village in the Samoeng district of Chiang Mai, Northern Thailand, at 18.5° N latitude. The altitude is about 650m – 680m (asl), which makes for favourable conditions for vegetable production at this latitude. It is around 75 km. from Chiang Mai town and takes about 1.5 hours to get there by car from the city. The land is approximately 4,800m2 total, consisting of 2 adjoining plots of land; a forested area of 1,200m2 on top of the hill and a long thin strip of rice paddy terraces of 3,600m2, that descend down the hillside to the bottom of the land. Water resources are in rich abundance, with a small stream at the top of the paddy land, that flows year round and a larger river at the bottom of the land that also flows throughout the year. The soil is slightly sandy loam with a good structure and lots of potential! The land offers beautiful views of the surrounding forested hills of Khun Khan national park which is just 300 m. away from the land. There are 2 stunning waterfalls (that I’ve discovered so far) that can be reached by a 2 – 2.5 km. hike through the forest!